We produced a film for the HanseYachts AG, in which Karl Dehler (Research and Development HanseYachts) presents the new Hanse 575. The film is used worldwide to show the HanseYachts merchants the new features of the second biggest yacht in the portfolio of HanseYachts. A especially worth mentioning feature of the Hanse 575 is the integrated garage for the dinghy. 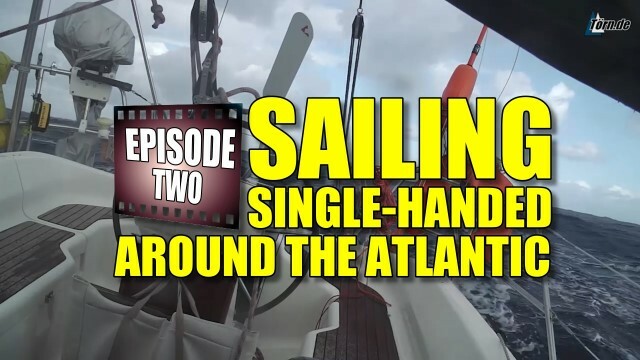 Episode 2 of Guido`s documentary „Single-handed around the atlantic“ leads us from Roscoff (FRA) to the Canary Islands (ESP). The film describes the last stages before Guido's atlantic crossing. In crossing the Bay of Biscay and some interesting stops, the film offers lots of information and a nice overview of the european coast. It all started in 2006 with a weekend trip on the dutch inland seas. Guido Dwersteg was infected with the sailing virus. Two years later he passed his leadoff boating license. Following first experiences as a skipper, he bought his own sailing boat. In 2012 he finally set off, to cross the atlantic ocean single-handed with his „Carpe Diem“, a Bavaria 32 Holiday. And he has filmed! More than 30 films are online in our "Knots and Splices" Section. Start with "Two half hitches" and end with the "Eye / Thimble Splice in Double-Braid Rope".